President Peter Mutharika has again hit back at critics who accuses him of rolling up his sleeves and taken to laying foundation stones , saying all infrastructure development projects his administration had launched will materialise. “I only do what I promise,” Mutharika said on Thursday at Linjidzi Primary School ground in the area of Traditional Authority Lundu in Blantyre during the ground-breaking ceremony of the 62-kilometre road which is expected to be constructed in three phases with funding from Malawi Government. He pointed out that the commencement of the construction of Lirangwe – Chingale – Machinga Road would enhance economic activities for people of Blantyre, Zomba, and Machinga districts upon its completion. Lately, government has initiated a number of road projects which include the Mzuzu- Nkhata Bay, Jenda-Edingeni, Livingstonia-Njakwa, Mangochi- Liwonde and Thyolo-Thekelani-Muona-Makhanga. Two weeks ago, President Peter Mutharika laid a foundation stone in Blantyre for the construction of a K11 billion dual carriage road from Clock Tower Roundabout to Chileka International Airport. The President also launched the Blantyre By-pass Road, among the many projects his government has initiated. But many people have queried the projects, asking President Mutharika to explain to Malawians where government will get the money for such projects in the face of non-performing economy, fearing that it would incur more domestic debts by providing promissory notes. The Malawian leader described the project as a proof of the National Transport Master Plan as outlined in the Malawi Growth and Development Strategy (MGDS 3) which aims at developing the transport sector in the country in the next 20 years. “My government has development of the people at heart and that is why I don’t want any part of the country to be left behind. I want development to spread everywhere so that people in rural areas have access to good roads, electricity as we all as fast internet. “This project will not only help people from the three districts to easily connect, but also help them progress in their various economic activities because of the good road network,” said Mutharika. Mutharika is on a purge of corruption, instilling discipline in the public service, and his administration has established various austerity programmes, including limiting luxury travels by public officials using taxpayers’ money. 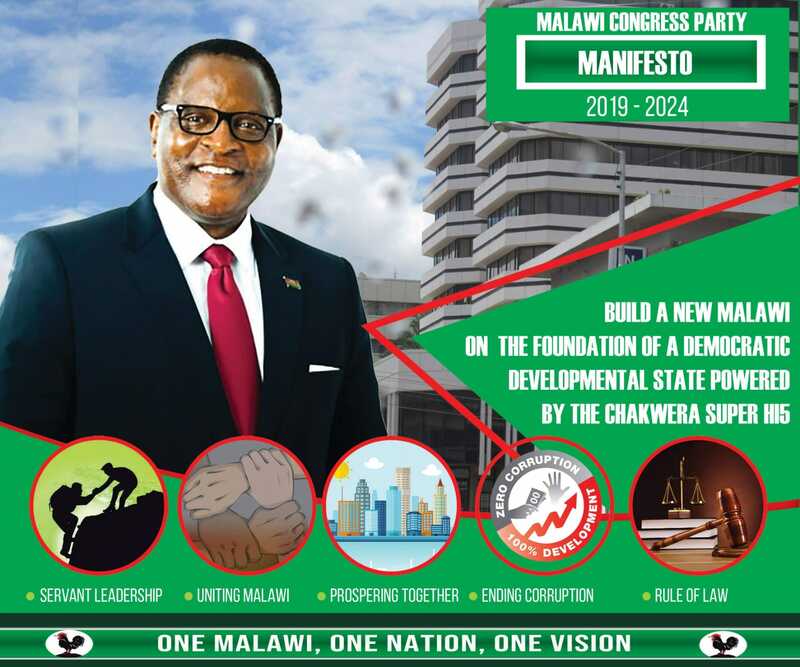 Democratic Progressive Party (DPP) is governing Malawi under panic to impress the electorate as the countdown to 2019 elections has started. The first phase of the project, which is being implemented by Mota-Engil, started in April and will cover about 19 kilometres at a cost of K5.3 billion for a period of 18 months. Guys govt shd have records.. how many foundation stones are going to be laid on this road.. Malawians shd open their eyes.. the best way is to to just start projects that foundations were arleady done by previous govts.. its just a waste of resources to do 2-3 foundation one road.. No wonder we continue to stay in poor state. I strongly urge the DPP to form an alliance with UDF to increase its chances of winning next year’s general elections. Bravo APM thats the way to go……tiyeni nazo zitukuko..oipa athawa yekha…2019 boma……………. Of course TALK is cheap but money buys WHISKEY. Good example is that the same president cannot take his own 2014 MANIFESTO, stand on the podium & start ticking check boxes (done/ not done) then give himself a performance score. APM knows such a score would be embarrassingly terrible & he can’t dare do it in public. Even misewu ikukambidwa iyi mwambiri ntchito inayima kalekale, zima tractor zingokhala olo a MBC TV footage yawo amangowonetsa ka portion ka kale komwekomweko, without shame! Bola lachitukuko limenelooo 2019 woyeeeee!! Chitukuko cha ma foundation STONES!! KUBA AGULUKUNYINDA KUZIMAZIMA MAGETSI ZIPHUPHU ZIKWANJE ndizambiri 2019 WOYEEEEEE!! I CAN’T BE SWAYED AWAY BY THESE CHEAP PROPAGANDA. THOSE THAT REBUFF CHILIMA MOVEMENT ARE STUPID. Inu zitukuko zonsezi miyezi ten yokhayi?? Why didn’t the construction just start.? But knowing how silly Malawians are Mutharika the professor can do this knowing that the people are so dumb that they will see nothing wrong with this. This can of thing can not happen in countries where politicians are answerable to there people, not themselves.